The International Livestock Research Institute (ILRI) and The International Centre for Agricultural Research in the Dry Areas (ICARDA) have been organizing a tailor made gender capacity development intervention for the CGIAR Research Program on Livestock and Fish’s research and development partners in Ethiopia. A gender capacity development training manual covering thematic areas has been developed: 1) gender analysis for value chain development; 2) gender strategy development; 3) gender responsive organizations; and 4) monitoring and documentation. Implementation of this intervention will follow a series of four training workshops, complemented with coaching and mentoring, and experimental learning. 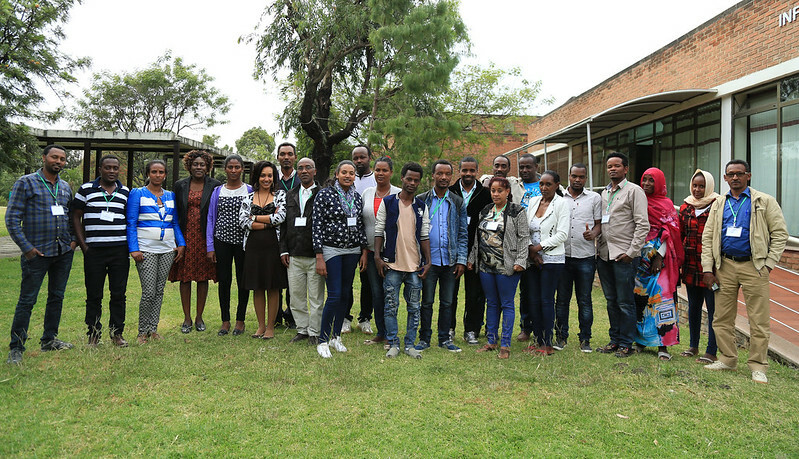 The gendered value chain analysis workshop was organized in response to a recognised need to strengthen the capacity of research and development partners to integrate gender in small ruminant value chain development in Ethiopia. A team of facilitators from ILRI and ICARDA who will use workshop materials prepared by Transition International (TI) was assembled. Three pre-workshop meetings were held to discuss the structure of the workshop, the activities involved, logistics and assignment of roles. 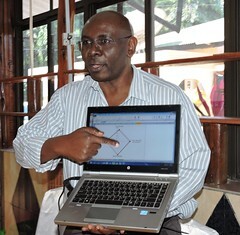 This culminated into a training workshop that took place at ILRI, Addis Ababa, Ethiopia. The training workshop was conducted from November 7-10, 2016, covering, module 1 of the four- module training package. 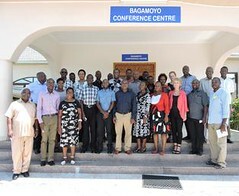 The workshop was attended by members of the gender capacity development committee, regional gender focal persons and heads of the respective organizations. Participants were exposed to the concepts of gender and value chain analysis, gender analytical frameworks, basic tools to conduct gendered value chain analysis and approaches to achieve balanced participation among others. The evaluation of the training sessions indicated that the training met participants’ expectations. Generally, participants appreciated the overall training contents, approaches and training materials. The gendered value chain exercise was the most thrilling session and the feedback session was very interactive, with participants giving constructive feedback. The participants were very eager to share the knowledge and skills learned with their colleagues and to start the application of what they learned, integrating actions with their ongoing work/newly planned activities of their respective organizations. Moreover, participants formulated their own gender capacity development goals and follow up action plans. The plans will be implemented to reinforce the skills acquired and the teams will coached in the process of doing so. The heads of institutions and regional gender focal points signed the coaching agreement in order to formalize the whole process of Gender Capacity Development. This activity in Ethiopia is supported by the International Fund for Agricultural Development (IFAD)-funded SmaRT Ethiopia Project – Improving the Performance of Pro-Poor Sheep and Goat Value Chains for Enhanced Livelihoods, Food and Nutrition Security in Ethiopia.